4 Week Meal Plan with Grocery List – Download Today! Often one of the biggest struggles of family dinner time is coming up with a plan for meals each week, so that you aren’t left last-minute scrounging around for leftovers, a half-eaten box of cereal, or a pizza coupon for the local delivery place instead of enjoying a healthy, stress-free meal with the family around the dinner table. 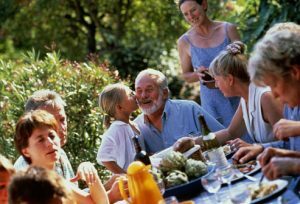 Having a meal plan or a menu plan for the week makes sure you have the ingredients on hand for the dishes you want to make, as well as avoiding the stress of the much-dreaded “What’s for dinner tonight?” pelting you from multiple family members around mid-afternoon. You know that feeling – yes, I’ve been there, too! 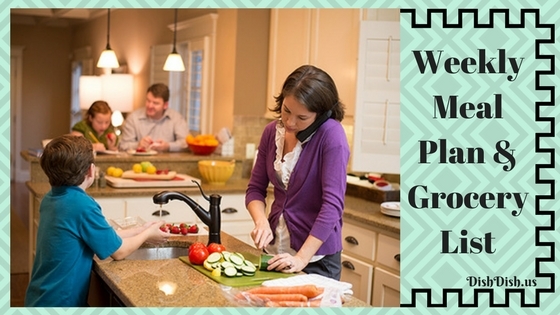 And I want to help you move past that dreaded, stressful moment with these easy meal plans. In order to help families move from dreading family dinner time to getting into a habit of establishing some favorite dishes and meals they can easily plan each week, we have created various 4-week meal plans with grocery list. 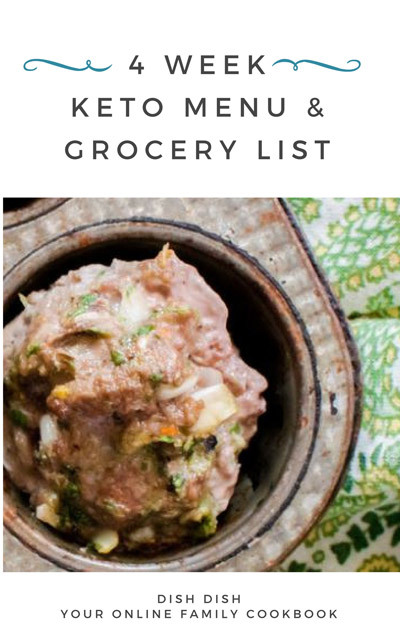 We are excited about launching this program, starting with a Paleo version, and we will add other options like Whole30, Quick and Easy, Comfort Food, Gluten-Free, Crockpot or Instant Pot, and more in the weeks to come. (Please leave us a comment about which type of menu plan you would like to see). 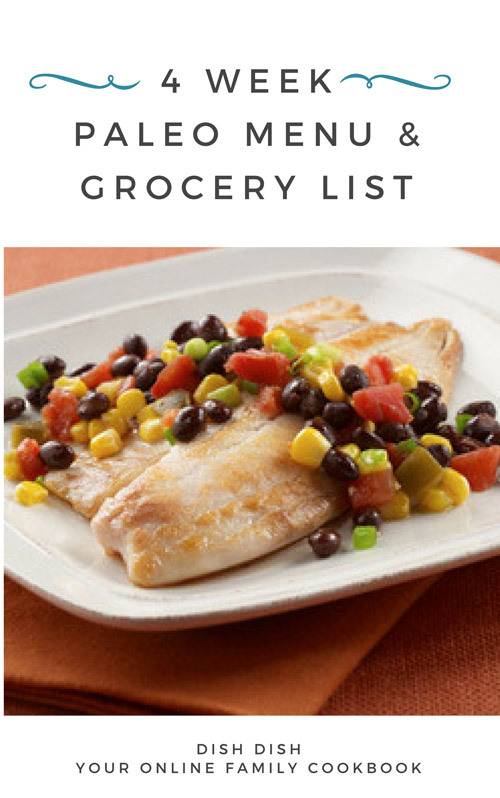 At only $19.99 for one month your family will be ready to enjoy dinner each evening with much less stress, and you can get in the habit of thinking about, planning, and establishing your own routine for meal plans in the weeks to come (or feel free to stop back by and grab a different set when you finish this one). 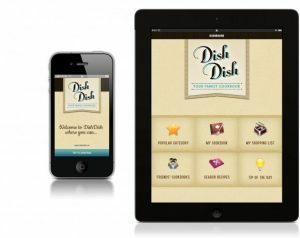 Each meal is planned for 4 people, but with links to each recipe here on Dish Dish, you can save your favorite recipes to your own cookbook account on Dish Dish, and easily scale the recipe (with one click of a button) to serve as many as you need (it will recalculate the ingredients for you). You can also add the recipes to your digital grocery list on Dish Dish, and pull that up in our app for easily having with you at the store. 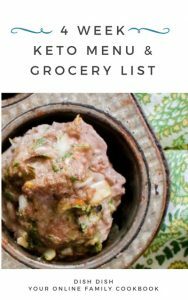 Additionally, you can edit the recipe to change up any of the ingredients, as well as add your own photos and notes for future reference. 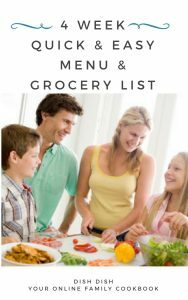 Now, if you’re ready to experience wonderful family dinner time with a lot less stress and anxiety, download your favorite meal plan below, and get started today!